I would first like to begin by saying thank you to @alec100_94 and @Zombeaver for this amazing plugin! The ability to have pre-configured optimizations in a matter of seconds with a click of a button is truly an amazing feat. Though this program is very user friendly in nature, it has taken me a bit to get everything up and going-- the most recent developer build of 1.5 wasn't playing nicely with the plugin, which I didn't learn until much trial and error. I resorted to using a build I had acquired a while back (pcsx2-v1.5.0-dev-1793-g52ec143-windows-x86. ), and I think I have everything up and going for the most part. My only problem has to with memory cards saves. I have plenty of saves in my "memcards" folder. When I access a game that has not been configured using the plugin, I have no problems. When using the plugin the game does not recognize the memory card/memcards folder, thus I am unable to load from any of my previous saves. Any help in this matter would be much appreciated. Thank you. My pleasure, I'm not sure if you had it sorted already or not, but when I came across this thread as well a solution, I just want to do my part Happy gaming. Thank you @DOS76 for your quick response. I just got it figured it out. The ROM package I had gotten this from had multiple regions/versions -US, Europe, Japan- all within the same compressed file. And I use compressed files when launching my games. So interestingly enough, RA was pulling from the Japanese copy whereas Project 64 pulled from one that was in English. After separating the US copy and using that to launch it sorted out the issue. For the record, I will say that Project 64 does a much better than RA does (at least using Mupen core) at emulating this game. Thanks again for your quick response! Good afternoon, For experimental purposes, I decided to setup Project 64 just to see how it compared to RetroArch. 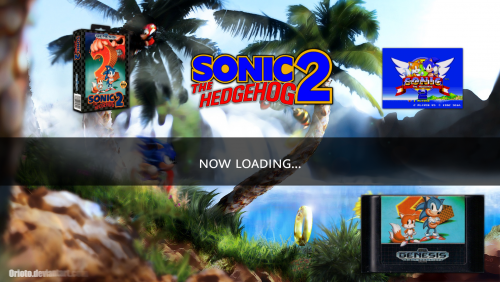 In terms of graphics, I'm actually pleasantly surprised and glad I took the time to set up the new emulator. For testing purposes, I decided to throw in Majora's Mask. To my surprise, I saw that the language text was set to Japanese by default in RetroArch. However, it comes up in English in Project 64. I wanted to know if anyone knows why this is, and more importantly, if anyone knows how to change the language text so I can play the game in English in RetroArch. Thank you. 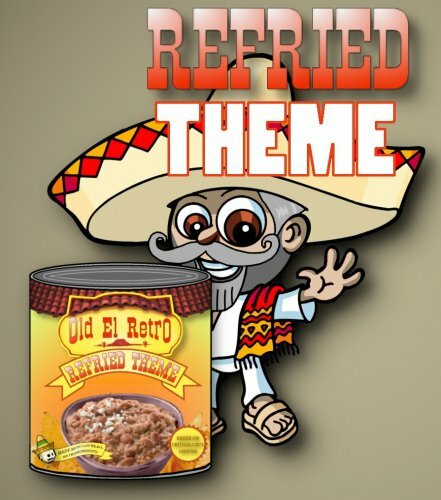 For those of you who are struggling on where to put the clear logos for this theme: Inside of the Unified Refried theme there is a "Images" folder. Inside you need to create a folder labelled "Platforms." Inside you will need create another folder called "Clear Logo." Inside the Clear Logo folder is where you paste the set. Launchbox/Themes/Unified Refried/Images/Platforms /Clear Logo After making the change, be sure to refresh platform wheel images located in options (Image Cache). I hope that helps. I would like to give a big shout out to @neil9000 for providing the solution, as it helped me out a ton. Best I could tell this this wasn't anywhere in the install instructions. Thanks to your reply I was able to get these logos up and going. Thanks! As I was perusing among the variety of ingenious start-up videos, something came to mind. I thought how cool would it be to have a nostalgic HBO inspired start-up theme? 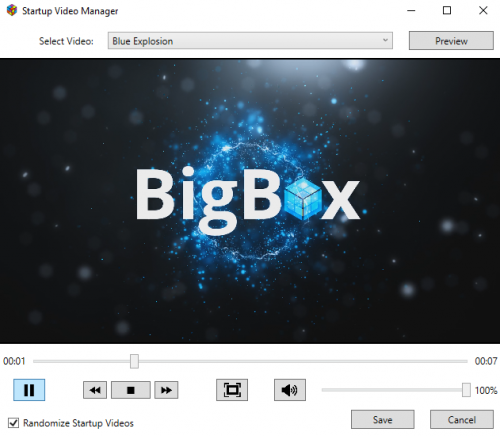 Creating such a video is unfortunately not among my computer skills, I would just love to see something of the like come to life when launching Big Box. Fingers crossed that such a content creator feels the same sense of nostalgia and makes this a reality some day. Happy gaming friends, and I would just like to say thank you to the Launchbox team, moderators, and content creators for all that you do. Cheers! I would just like to say thanks. I think the project is beautifully done. I am unfortunately unable to get the visual of discs spinning after following all of the troubleshooting steps, perhaps with a future update I will have more success. Thank you for your contributions towards this amazing Frontend and community. Cheers! Oh my gosh, I can't believe I let that enhancement slip by without me noticing. I followed your comment, and got it all up and going. It makes me wonder what other amazing features have been implemented that I've missed. Thanks for the comment and heads up Neil. Cheers! This is a fantastic tool! There are so many good intro videos, and it's hard to decide on which to go with. Now, thanks to randomization feature, I no longer have to bother myself with burden of choice Thank you so much! Highly recommended. I've been experiencing the exact same thing, which is probably I hadn't used bigbox for a while now. I was glad to see that switching transitions to fade provided a solution. Thanks for the insight Dyspare. Awesome, that took care of it. Thank you! Good day friends, With ETA's recent tutorial on importing MAME, I was finally successful in adding that collection to LaunchBox. In doing so, I had selected the option to also create the subcategories (if you will) that fall into the classics- Atari, Data East, Nintendo, etc. A few days later I managed to also import my Daphne collection using the .txt and .bat files ETA has included that with that tutorial. However, now I appear to have two Daphne platforms in both LaunchBox and BigBox. I was wondering what would be the best solution so that there is only one Daphne entry? Any assistance would be much appreciated, thank you.